In this latest 2019 Watchlist, we have the final case of “Olympic Year absorption”. 82 kilograms, big on skill and light on participation, will join 55, 63, and 72 in limbo beginning next year. What that means is 87 kilos — already heralded as the deepest Greco-Roman weight class in these United States — will be welcoming in a whole lot of refugees from 82, thus raising its significantly-high bar even higher. But there are still roundabout 12 whole months before that becomes a reality. For now, it is still all about 2019 and how these brackets might unfold throughout the spring. 82 kilograms, though heavy at the very top, is balanced nicely by a few young talents who represent the future of the sport. As for 87, there are no escape routes, no margin for error. It is kill or be killed. And thanks to the growing parity that exists among its chief combatants, 87 is the one weight class fans can depend on to deliver the most tension when the next World Team is finally decided. One weight class that offers more in the way of quality than it does quantity. 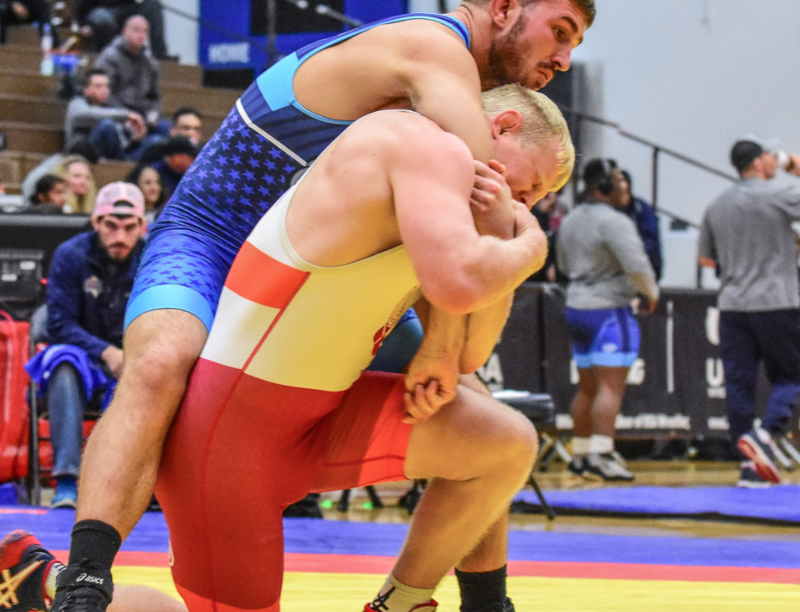 With 2018 World Team member Geordan Speiller no longer an active athlete, 82 appears as if it will be a two-horse race between longstanding US star Cheney Haight (NYAC) and Marine John Stefanowicz. That’s the current consensus. Haight and Stefanowicz are heads and shoulders above the field here, and that is likely not to change in the coming months. What you’re hoping for is that the athletes further down the pecking order nip at the top duo’s heels enough to keep them honest before the Astana Worlds. There is no sense in wondering what Haight’s deal is anymore since it looks like he is going to keep plugging away for the time being. And that’s a good thing. Even as Haight continues to ascend in age (he just turned 34), no discernible signs of slowing down have emerged. Even up at 87 kilos for a short spell last year he still delivered strong performances, including a silver at the Farrell and a third at the Open. Those two tournaments were apparently enough to convince him that a second-straight World Team spot was within reach at 82 kilos, and as such, Haight dropped back down for the Trials and advanced to the best-of-three. Speiller swept both matches — although you still had to hand it to the savvy vet, if only because his lifestyle off the mat depleted some of his opportunities on it. So, he’s still here, still as viable as ever. The younguns in this weight class could stand to learn a lesson or two from Haight and he’ll be happy to teach them. Now a two-time National Team member, Stefanowicz has become a full-fledged threat to make his first Senior World Championships appearance this very season. It’s not because Speiller retired — the last time those two met Stefanowicz walked away the winner. And it’s certainly not because Haight is an easy mark, because Haight has defeated the Marine each time they’ve shared mat space. No, the reason why Stefanowicz is a ticking time bomb is due to the consistent strides he has made from a technical standpoint, as well as a relentless motor that is unparalleled in this weight class. Haight doesn’t mind going toe-to-toe with STEF, but that eagerness is not shared by the rest of the field. Stefanowicz observes a bruising, punishing pace that welcomes physicality in all of its forms. That forces opponents into survival mode all too often, and there is just not much you can do when someone this menacing refuses to slow down. 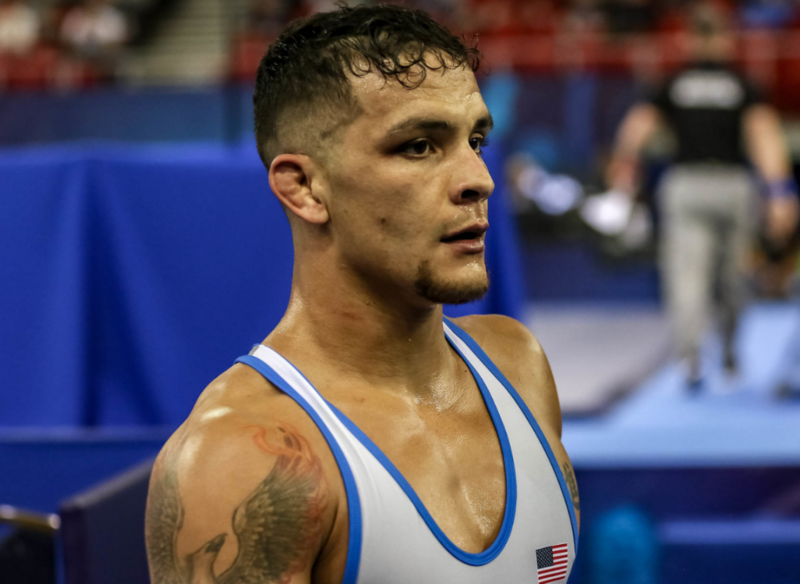 Former World Team member Fisher returned from a two-year hiatus for the US Open in 2018. A 74/75 kilo guy earlier in his career, Fisher checked into Vegas up at 87 and went 2-3. Because he is who he is, that might seem like an underwhelming result. With someone like Fisher, you’re accustomed to a very different finish. 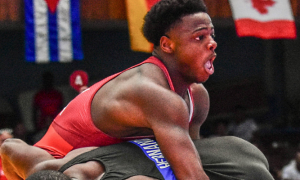 But considering that he…was shaking rust off…did not train a whole ton in advance…had not competed for over two years…and jumped in the deepest bracket the US has to offer, it was actually kind of impressive. Of course, Fisher’s standards are little higher than that, and like his pal Haight, he too ventured south to 82 kilos for the World Team Trials. Terrence Zaleski (Marines) surprised him in the quarters, but Fisher rebounded to take third before dropping the National Team match to Stefanowicz. As of now, his status going forward is somewhat questionable in regard to the Nationals. But you have to assume you’ll see Fisher again in some way, shape, or form this spring, and that’s all you can ask. Naturally, Berreyesa’s march to the Junior World final stands as his biggest achievement thus far. But for as big of a deal as it was — and it was — it was also just one more example of a pattern that had betrayed itself previously. 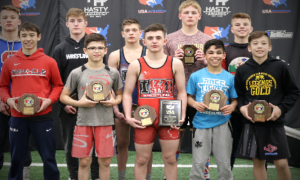 Berreyesa was forced to fight it out in each match of the Junior Nationals, highlighted by tough wins over ’18 Fargo winner Zach Braunagel (Ill) and NMU’s Tommy Brackett. 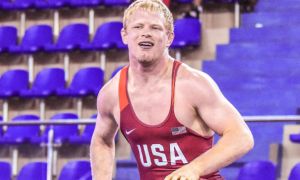 He next grinded his way to the U23 Trials final, falling to Carter Nielsen (NMU/OTS), and a week or so later, he edged Brackett again to nail down the Junior World Team spot. Hard matches have become Berreyesa’s speciality, and he was able to call upon this all-important skill in Slovakia. His refusal to back down or bail, as well as an inspiring display of par terre defense, helped carry the Cornell student to the World gold medal match. The crazy thing is that Berreyesa is still so young and only going to grow even more fearsome as time goes on. You won’t find too many who believe he is ready to make a definitive impact on the Senior level just yet, but they’re dead wrong. Since 82 is currently not included in the Olympic curriculum, you wouldn’t want to rush to say that Nielsen is the future of this weight class. But if it were, then yeah, that’s what you might say. At this stage of his career, Nielsen isn’t ahead of where someone like Haight or Fisher was at the same point; but his trajectory could be even higher. An accomplished folkstyler who originally sought the NCAA D1 collegiate lifestyle, Nielsen opted for a switch to full-time Greco in 2017 and impressed right away with a third at the U23 Trials and a silver from Sweden’s Malar Cupen. He was hardly in a groove back then, and just when things started picking up steam, a knee injury forced him out of action for six months. Nielsen returned for the ’18 U23 Trials and went unblemished, securing his spot with a two-match sweep over Berreyesa. The Worlds could have gone better for him, but you chalk that up to inexperience on the big stage. Aggressive and increasingly unafraid to display a fiery sense of self-belief, Nielsen is gaining momentum quickly and that is something everyone here needs to accept. We all know the drill. 87 kilograms remains the United States’ deepest weight class in terms of credentials. The actual way to say it is “On paper” = what someone has accomplished previously. More important than resume bulletpoints is parity. Whomever you consider to be the top guys in this bracket (and they’re all obvious), there isn’t any discernible distance between them. On top of that, the lion’s share of athletes here are enthusiastic brawlers, which has resulted in plenty of physically brutal showdowns in high-leverage matches. The 2018 World Team Trials came and went without Joe Rau (TMWC/Chicago RTC) and Jon Anderson (Army/WCAP), and this weight class still stole the show. That’s because Patrick Martinez (NYAC) and Ben Provisor (NYAC) stepped up and delivered a three-round slugfest for the ages, with Martinez ultimately prevailing. Everyone is back for another go-round in 2019, including Anderson and Rau, and that should mean yet one more year with 87 continuing to offer the most bang for your buck. Martinez does not get enough credit for what he accomplished in ’18. A minor injury forced him to miss the Open, as well as other competitive opportunities, and he rose to the occasion by winning the Trials mini tournament and looked great in the process. Then he and Provisor managed to kill each other for the better part of 18 minutes. Martinez’s Trials final victory over Provisor cannot be overstated, because for one thing, he had never defeated Provisor before that, and he had just done so twice; secondly, despite having already been a World Team member previously, both of those Trials triumphs came at 80 kilograms, the non-Olympic weight. Martinez put an intense focus on rounding into form at 87 following the 2017 season and it showed. Combine that with an increasingly sharp offensive aptitude along with the fact he is now firmly entrenched in his prime, and what you have here is an athlete who should rightfully be entering the precipice of the Olympic Year wielding a ton of confidence. It’s not easy to say that Provisor is coming off of an up-and-down season, but spitting it out another way would be disingenuous. Yes, he won his third US Open in startling fashion by engineering an inspired comeback against Rau. But that was the high point. 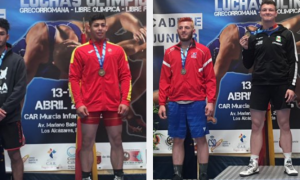 Provisor’s appearance at the Pan Ams (at least in Greco) ended in disappointing fashion; he earned a bronze but was cut down in short order going for true third, leaving 87 kilos unqualified for the Pan Am Games. He was also reportedly slowed by a staph infection entering the Trials, though how significantly that affected him competitively is hypothetical. Even with all of that, he is still “Big Ben”, still the man everyone in this weight class looks to because such is the gravity of having two Olympic appearances under one’s belt. Nothing is confirmed as of yet, and it is far too early even now to bother chatting about it, but these next two seasons are likely Provisor’s last. Personally and professionally, that’s important to him. It is also important to the American program. 2019 is a qualifying year. 87 needs to be at its absolute strongest domestically, and that can’t happen unless Provisor returns to full capacity. Don’t look now, but is Radford starting to become…consistent? Ignore Radford against foreigners, he hasn’t figured out that puzzle just yet. There will be a time for that eventually. Instead, focus on his recent relevant domestic results: he came out of practically nowhere to win the ’16 Open; performed reasonably well at the ’17 Trials, ultimately finishing sixth; snared fourth at the ’18 Open; and then came off the deck to win the National Team spot in Tulsa this past June. Radford still offers some greenness, and that used to be the go-to answer you’d use whenever someone would ask why a guy who is so obviously talented struggled in weird matches. He’s not getting away with that anymore. No one cares if Radford is technically kind of a neophyte at this point, that ship has sailed. The bar has, accordingly, been raised. 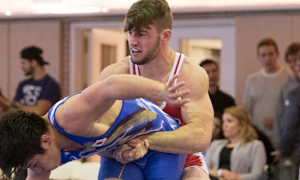 If Radford has designs on representing the United States at the Tokyo Olympics, 2019 needs to showcase either a) another step up the ladder, or b) a signature win over another top-flight domestic adversary. It’s about consistency, right? Two strong seasons in a row would demonstrate just that. How much is too much? Does the concept of “too much” even exist? Rau’s absence from the World Team Trials and subsequent departure from Minnesota to back home in Chicago resulted in one of the most tumultuous periods of his career, which is really saying something considering the injuries and near-miss disappointments he contended with previously. As soon as he was physically able, Rau got back on the horse and spent the second half of the summer steeped in training. From German to Norway to Poland, and then from National Camp to Russia, to Sweden, to Finland, and then most recently, NMU camp last month (and another camp at the OTC this past week), he has been busier than ever. He’s hungry, but they all are. The difference with Rau is that it might appear as though he’s trying to make up for lost time. On the surface, that’s easy to understand, and likely not a bad idea so long as his body stays intact. 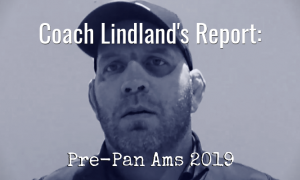 We have not seen him battle a top domestic opponent since he and Provisor lit up the scoreboard in Vegas last April, and it will be interesting to see what his attack plan is now that he seems rejuvenated. His is, for all intents and purposes, a clean slate. Rau hasn’t had the luxury of a fresh start quite like this one. How that storyline unfolds throughout the season is worth keeping a close eye on. As of this moment, it is difficult to peg exactly how and where Anderson fits into this mix. A multi-time Trials runner-up, it was the 2017 event that actually stands as one of Anderson’s most impressive performances to date. He came in off of a pieced-together training cycle, dropped a close, grinding decision to Rau, and then proceeded to run the table and take third. Anderson is able to pull off exceptional matches because his is a motor that never slows down. That is, without question, his calling card. But it was at those ’17 Trials where he added effective offensive adjustments that led to points, which was hard to miss. So why he is being seen here as a wild card? Check out his life over the past year. A Major in the US Army, it was only recently when Anderson returned home after serving in Afghanistan. If you follow the platform, you know all of this. Anderson pretty much missed the entire competitive season last year, save for a bronze at Schultz. 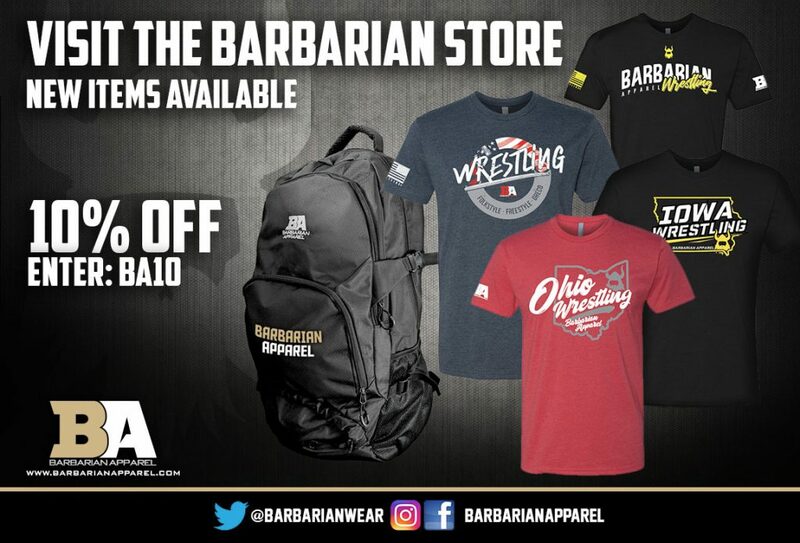 He will certainly be wickedly prepared and motivated come tournament time this spring, you don’t have to worry about that. But you’ll also be watching to see how much rust needs to be knocked off in the process. To say that the US needs a more “refined” version of Stanghill might be going a little too far. After all, the reason why Stanghill is so difficult to deal with is due to his physicality. In its most primitive form, Greco-Roman is a battle of wills decided by vicious in-fighting that onlookers hope leads to bombastic technique. Or at the very least, leads to action of any sort. And Stanghill gets that. He understands what the end goal is, which is to break opponents down by whatever means necessary. Even better for the native Montanan, he is now employing that same ferocity to capitalize on viable offensive opportunities. Back training at NMU after a two-year stint living in Minnesota, word is that Stanghill has reached a new level in his overall skill-set and devotion towards preparation. Good, he’ll need it. Stanghill has come semi-close before to a true breakout and it’s starting to feel like an eventuality that he winds up challenging for the throne. It might seem premature to say that happens in 2019, but if not, the Olympic Year would do just fine. It’s almost comical, because Johnson does not get nearly as much play as the others in this weight class, yet there is no question his name belongs in every conversation about why 87 kilograms is such a shark tank. He has been around for long enough now, has been in enough matches, and has had his hand raised enough times not to be overlooked. Is that in any way an advantage for Johnson? 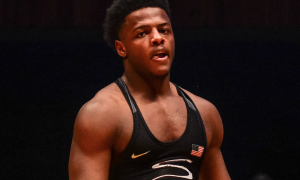 It probably doesn’t matter; but what does, is that Johnson has notched impressive victories over both Radford and Provisor, and boasts a runner-up performance at the US Open among his top domestic placings. He can be a killer. At 26 years of age, that physical prime is just beginning to become a factor. But for Johnson to finally to smash through once and for all, he has to curtail the inconsistency that has plagued much of his career. There have been plenty of matches that have gone south in the most confusing, questionable ways imaginable, and that has to stop. Johnson is a valuable commodity when he’s clicking on all cylinders. But he needs to realize that soon or risk winding up on the outside looking in once again. The main reason why you want to buy stock in Hargrave this season is because of time. Originally from Washington, Hargrave was tired of achieving “impressive for a part-timer” type of results and moved out to the OTC last year. The upgrade in training environments did not bring with it a massive boost competitively (he took sixth at the Open and fourth/fifth at the Trials), but it wasn’t supposed to right away. Hargrave requires constant immersion. He has always demonstrated a knack for understanding scores and using his athleticism to open up attacks, but both his positioning and par terre defense and offense need to be brought up to speed. That can only occur if he’s being force-fed an appropriate education, which is exactly what the OTC offers. So while you don’t dismiss his results from 2017-18 completely, try to see them with the caveat that Hargrave appears on schedule and vast improvement isn’t out of the question entering this season. 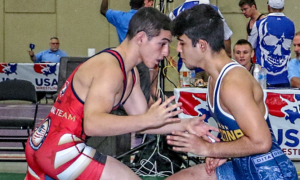 How he does at the Dave Schultz Memorial should provide enough of a baseline. Here’s how good Carlson is and still can be: if he were to somehow win the Final X Series at this weight it might come as a surprise, but the only people who would drop dead of shock are those who don’t pay close enough attention. There are but two items stopping Carlson from potentially assuming command of 87 — 1) he doesn’t display a lockdown go-to that yields high-percentage scores from the feet; 2) he is also involved to some degree in MMA, therefore you can’t (apparently) paint him as being “all in”. You could inject various vulnerabilities from par terre into that mix, but that hardly makes Carlson any different compared to his domestic counterparts. Nevertheless, there is no doubt about what he brings to the table. Carlson relies on stout position, an almost European flavor in his pummeling, and terrific conditioning. He’s gone between 82 and 87 the past two seasons, so there is that whole “tweener” thing many are fixated on. Again, nonsense. Former workout partner Stanghill is in the same boat and no one questions his validity in this bracket. So do you approach Carlson with a modicum of caution pertaining to his actual chances? Yes. But is he good enough to scare everyone in this oh-so-deep of a weight class? Also yes.